EchoPixel likes to compare its 3-D imaging technology to cutting through a loaf of bread. Medical diagnostic tools like MRIs and CT scans can create flat, two-dimensional pictures—or single slices—of information. But what if you wanted to cut into the loaf from a different angle to get more detailed cross sections? Mountain View, Calif.-based EchoPixel allows users to create a 3-D image from patient-imaging data and then manipulate it—to remove tumors, dissect tissues or measure veins. The technology can take the guesswork out of surgical planning by allowing physicians to get a more accurate and precise view of patient anatomy. With machine learning, the software records the way a clinician interacts with the images, allowing another doctor to follow the same steps and methodology. The software is designed to work on different types of hardware, including wearable devices such as Google Glass, so it can even be set up in an operating room. 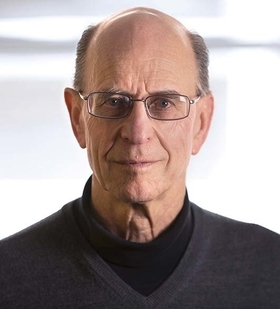 “We're bridging the radiology and surgery gap, and that is a very powerful thing for the marketplace and for us,” said Ron Schilling, EchoPixel's CEO. The company says its technology is getting traction in a number of applications. One use is virtual colonoscopies, a less-invasive way to screen for colon cancer that's yet to be demonstrated to be as effective as the traditional procedure. EchoPixel says its technology has 98% sensitivity in identifying lesions less than 6 millimeters in length, which is the key threshold for concern. INNOVATION Virtual 3-D images from patient-imaging scans, which doctors can then manipulate for educational and surgical planning purposes. STATUS The venture-backed company has raised $5.8 million and shipped more than 25 systems for clinical and educational uses. Aguirre said EchoPixel's imaging can mitigate false positives in virtual colon cancer screenings by allowing doctors to “grab” and virtually remove tissue on the screen to determine if it looks like a polyp or perhaps only residue from the colonoscopy prep solution. Another application the company touts is in pediatric cardiology, where surgeons perform delicate and complex procedures to correct congenital heart defects such as tetralogy of Fallot. “They were (previously) basically drawing on a piece of paper, and that was the surgical plan they were taking into the OR,” Aguirre said. But 3-D imaging allows surgeons to do a run-through on a life-size patient replica, reducing the guesswork in interpreting images. That, in turn, has reduced surgical time from about four hours to as little as 90 minutes, which means less time under anesthesia and less cost to the hospital. 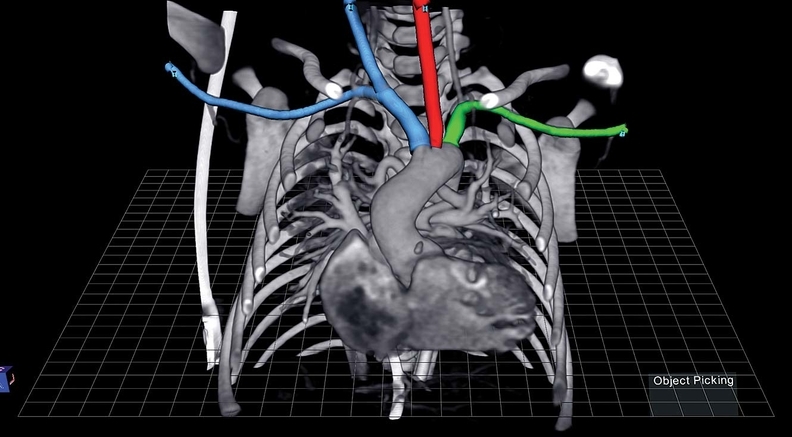 EchoPixel's True 3D software also has applications in interventional cardiology and neuroradiology. Take Boston Scientific Corp.'s Watchman device for atrial fibrillation, a heart implant that's inserted through a catheter. Doctors try an average of 2.7 devices per patient in order to find the right fit, Aguirre said, at a total average cost of $20,000. And each placement attempt also carries the risk of perforation. The imaging has also been used in pediatric cardiology procedures. At Penn State College of Medicine, EchoPixel's technology is being used as an educational tool for teaching anatomy to doctors in training. Most first-year medical students learn anatomy through dissecting a human body, but cadavers are expensive and can't be preserved for future reference. So when third- and fourth-year students take electives in specialties like orthopedics, Penn State uses EchoPixel. Students can dissect a real knee—albeit a virtual representation of one—to learn about bone tumors and skiing injuries. EchoPixel received clearance from the Food and Drug Administration in January 2015 for general diagnosis and surgical planning, and it is pursuing similar approval in Europe. The company is located in the Fogarty Institute for Innovation, on the campus of El Camino Hospital. Dr. Thomas Fogarty, inventor of the balloon catheter, is an investor. Other investors in the venture-backed company include Russia-based Runa Capital; Aurus, a Chilean investment firm; and Harris & Harris Group of New York. The company has raised $5.8 million and has shipped more than 25 systems.